We all want to feel and look great, finding the time to enjoy life to the fullest while still taking care of our bodies and skin. The effects of sun, pollution, stress and fatique keep your skin from looking as good as you feel! Fraxel® Dual 1550/1927 resurfacing treatments effectively target both the surface and deeper layers of the skin for a smoother, fresher, younger looking appearance. 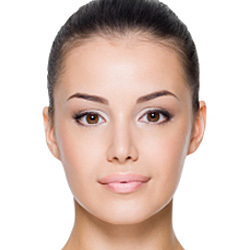 The Fraxel treatment is a safe, non-ablative laser skin procedure. The treatment uses patented fractional technology to target damaged skin with microscopic laser columns that penetrate deep into the skin. The laser treats only a fraction of tissue at a time, leaving the surrounding tissue untouched, which promotes rapid healing. This stimulates your body’s own natural healing process, replacing the old and damaged cells with fresh, glowing, healthy skin. The Fraxel Dual laser as the unique advantage of two treatment modes. The 1550 penetrates deep into the skin layers, specifically targeting concerns such as wrinkles or acne scarring. The 1927 effectively targets tone, texture and other more superficial signs of aging. Dr. Heinrich will tailor your treatment to your desired outcome and can even combine both lasers so that you receive the added benefits of both a superficial and deep laser treatment, both on and off the face. Desired outcomes are typically reached in several treatments. Dr. Heinrich and his team will work with you to identify the appropriate level of treatment and your preferred downtime. Depending on the level of your treatment, you may experience redness or swelling and sometimes pinpoint bleeding. The intensity and duration of your side effects depends on the aggressiveness of the treatment and your individual healing characteristics. A heat sensation is normal the first 2-3 hours post-treatment. Cold compresses will help relieve discomfort. Your skin will naturally bronze over the next week or two. As with a sunburn, the skin will flake and exfoliate. You will be given instructions for post-care regarding skin care products and when you can resume normal activities. Results are both immediate and progressive. Soon after the treatment, the surface of your skin will feel softer, smoother, look brighter and show more even tone. The next 3 to 6 months will bring more improvement as the deeper layers of the skin continue to create new collagen. Results are long lasting depending on your lifestyle, age, skin condition and skin care regimen.